Of course the series and characters are more modern now; they all carry cell phones and pop-culture references are used in more abundance throughout the novel. We learn more secrets about Stefan's landlord Mrs. Flowers, and we are introduced to some new manga-like characters that provide readers with a new fresh, feel toward the series. L.J. 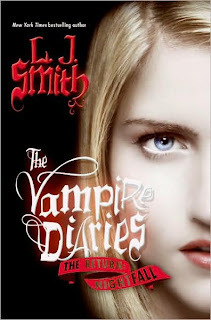 Smith was absolutely BRILLIANT to step forward and revive her vampire series. Her writing style is renewed and very much changed to reflect the modern style desired by so many readers these days, especially teens. Lovers of vampire lore will absolutely enjoy this book, and they would be even smarter to check out L.J. Smith's earlier novels, including outside the vampire series. Nicely done!